In honor of Earth Day tomorrow (woo! ), visual artist Justin Brice Guariglia has released a new augmented reality app that lets you experience climate change from wherever you're standing. 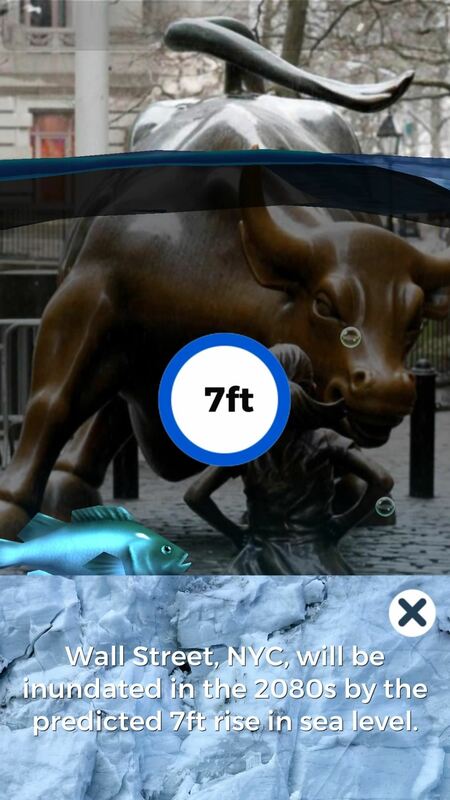 The app, named "After Ice," finds your current position through geolocation and then puts you in a future scenario where your location is no longer a place to live, but a complete underwater underworld. 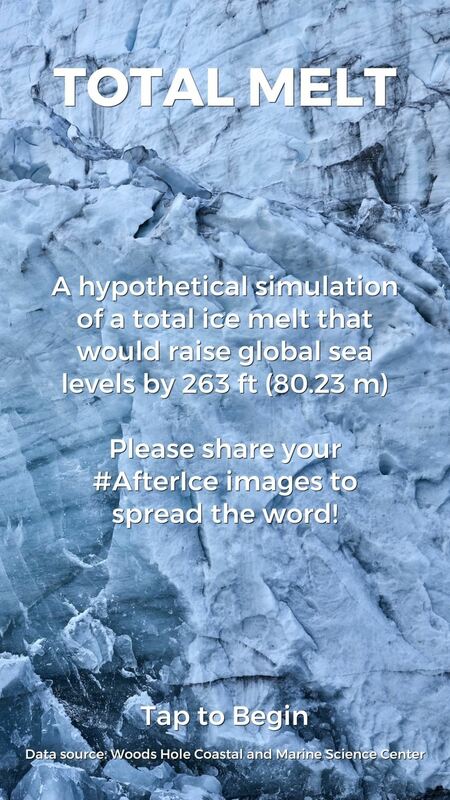 After Ice uses AR technology powered by the most current predictions from NASA to show you how high the sea level will have risen in your area by the year 2080. If you have kids, that's well within their lifetime. The app's tagline is "Welcome to the New Normal," which alone is unsettling. But then it asks questions like "Will you be underwater by 2080 or sooner?" 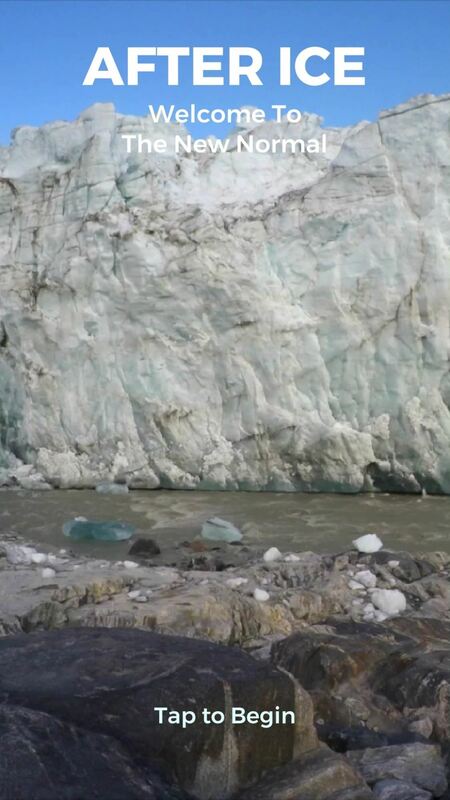 and "Under a business-as-usual scenario, and the ice caps completely melt, how high will the water get?" Then it lets you see the impact based on your current location. As you might have guessed, the results are not pretty. Guariglia is based in New York and used After Ice to show users that by 2080 our beloved city may not be the wonderful hotspot that we all know and love today, but a complete underwater disaster. 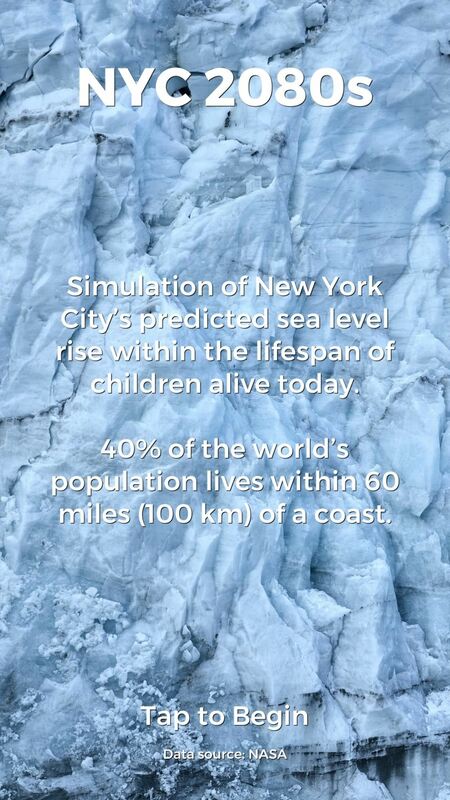 What's significant about this app is that it not only alerts users to predicted changes in sea level, but also to the issues of global ice melting. After opening it, beware of the giant avalanche falling from an ice cap, because that's how Guariglia wants you to be greeted. I believe a selfie will help people share the message that where they are standing, living, working, will be underwater in the near or distant future. It personalizes and makes experiencing climate change local, and thus relevant on a human level. After Ice personalizes the threat of climate change through three different scenarios. After opening the app, users can experience "Total Melt," which is a scenario that Guariglia says is a long way off — but possible — if the earth continues to warm. If all the ice melts, well, according to the United States Geological Survey, you can expect over 263 feet of projected sea level rise. The next scenario After Ice takes you through is the "2080s." 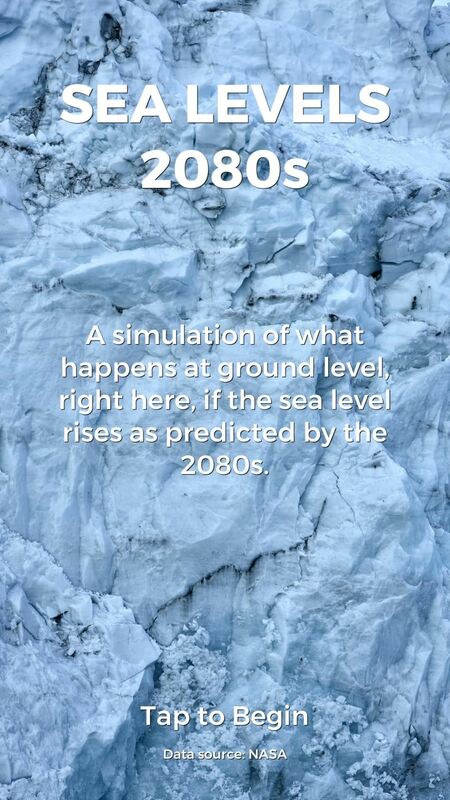 The 2080s, according to NASA scientists, is when the sea is expected to rise by over 6 feet. Finally, the last scenario is based in New York City in the 2080s and allows non-New Yorkers to experience a glorified part of the world by viewing the iconic Bull of Wall Street ... As it struggles to maintain its position against the rising sea. 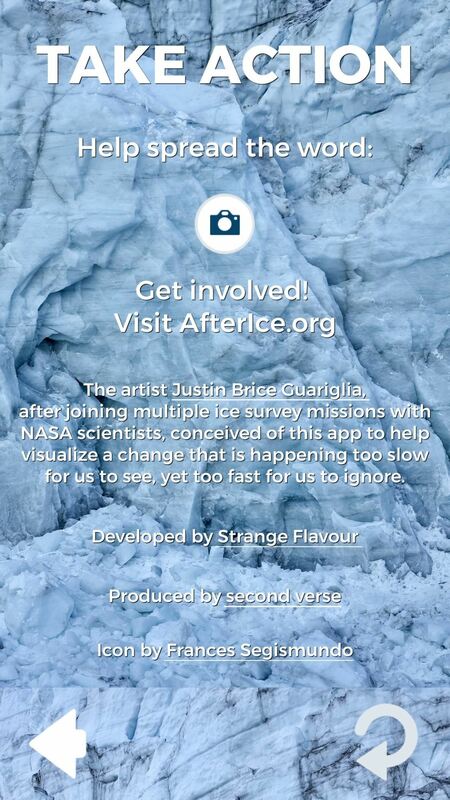 Users can download the app for free on iTunes and start showing support for the cause by tagging #AfterIce in all your underwater selfies!